Got a chocolate lover to buy for this Christmas? Here are some awesome gift ideas for helping them embrace their lust for chocolate. 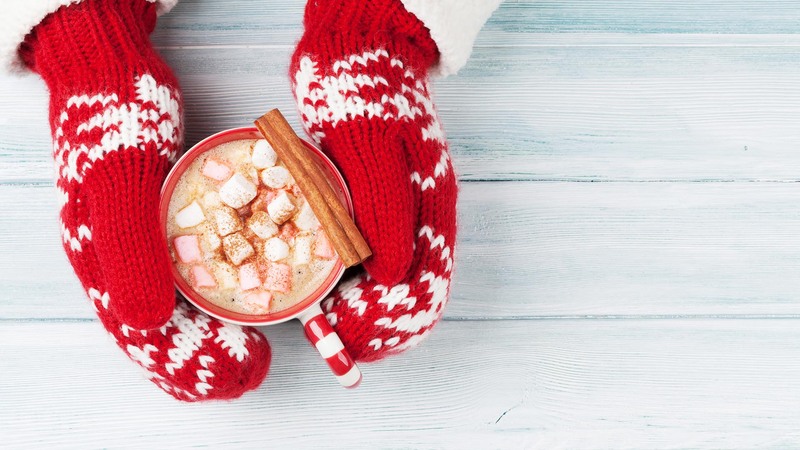 Sure, you could just buy them a ton of chocolate and we certainly recommend you do that in addition to these ideas, but if you fancy buying something a little more original, we have some great suggestions for you. None of these gifts are too expensive and they encompass a bunch of fun ways in which you can enjoy chocolate. Here are the best gifts for the chocolate lover in your life. Hot chocolate is always a delight for chocolate lovers. If they have a particularly sweet tooth then the Lindt Hot Chocolate Set is the perfect purchase to make. 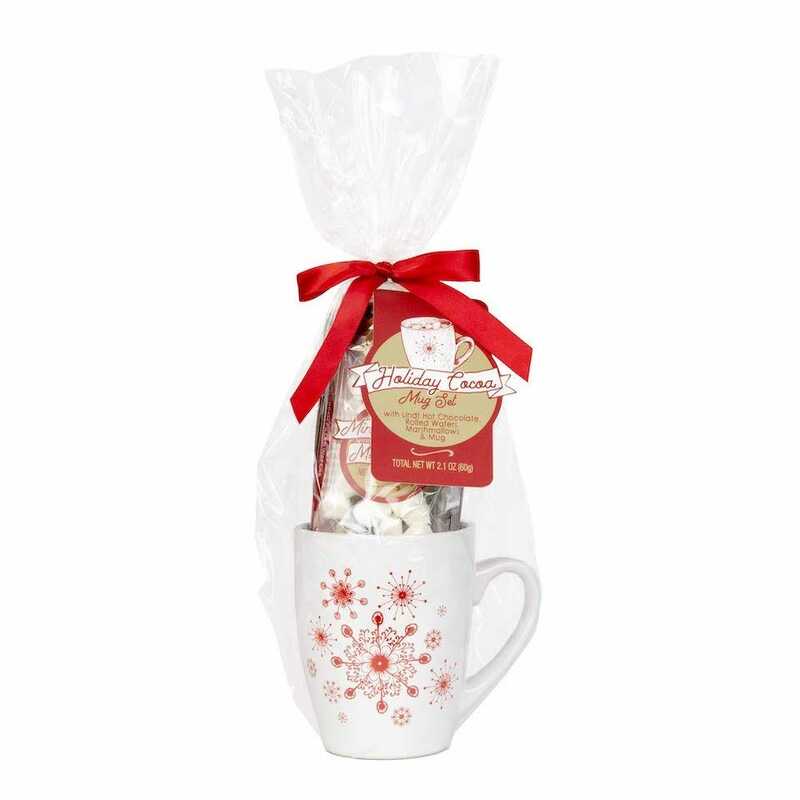 It includes an attractive ceramic mug, mini marshmallows, rolled wafers to dip with, and a Lindt Hot Chocolate Cocoa Mix. As you’d expect from Lindt chocolate, the flavor is pretty sweet so if your chocolate lover prefers darker chocolate, this might not be for them. Does your loved one prefer a darker and richer form of hot chocolate? In which case, buy the Godiva Hot Chocolate Set. It’s a little darker and maybe even classier than the Lindt option. In this case, it’s also a gift set for two rather than one. You get two ceramic mugs, along with a Milk Chocolate Cocoa Mix. There are no marshmallows or wafers, but that’s because this is a more refined hot chocolate. You don’t really need them. To make great hot chocolate, you need frothy milk. Just like if you’re making a great cappuccino. 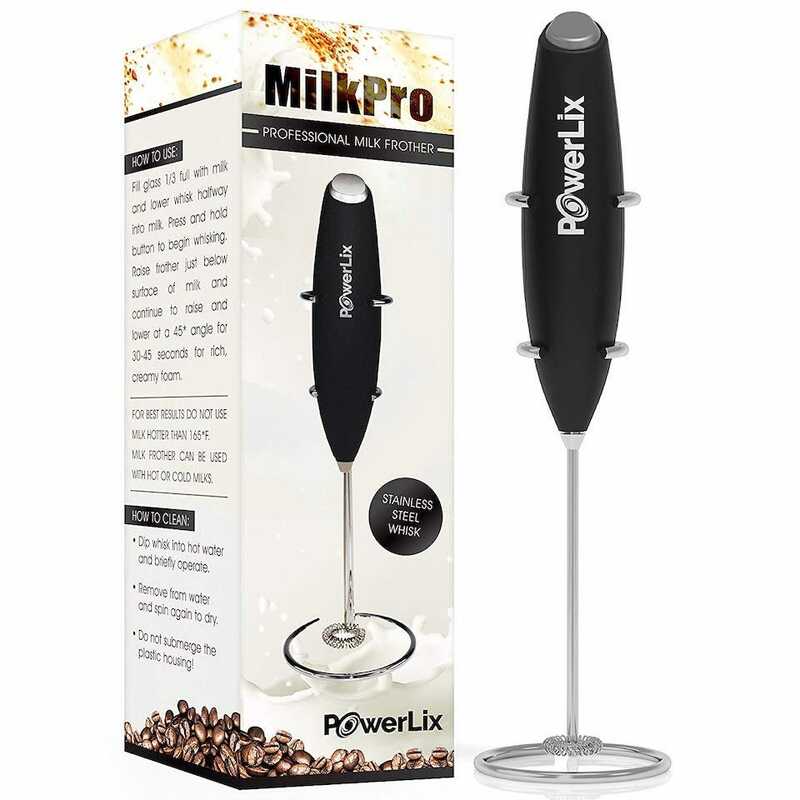 The PowerLix Milk Frother takes out all the effort for you. It’s battery operated and within 15 to 20 seconds, creates a cup of creamy froth, ready for you to toss into your drink. It’s not too noisy and it’s super effective. What more could you want? Who doesn’t love s’mores? Well, chocolate lovers love them even more than regular people. Buy them a s’mores maker, and they’ll be your best friend forever. It’s essentially a flameless electric heater, surrounded by serving trays and utensils. 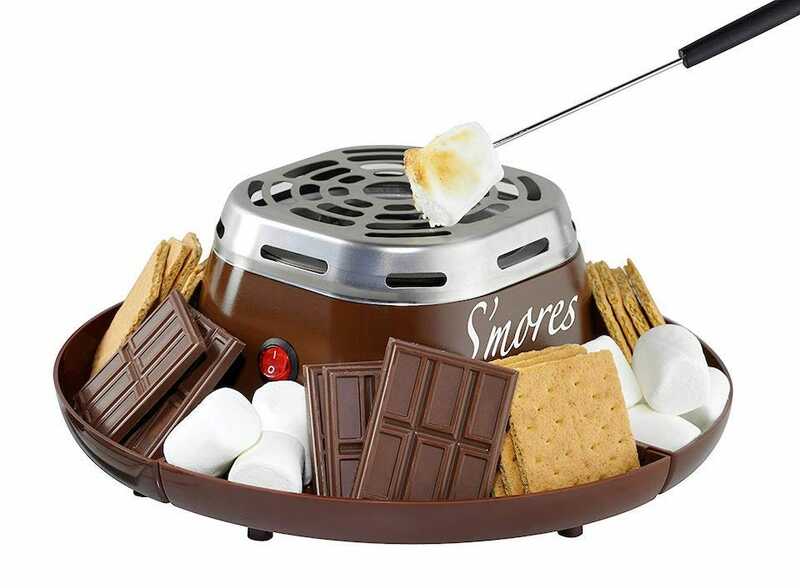 The 4 compartment server tray has room for graham crackers, chocolate, marshmallows, and any other extras you want to add to soup up your s’mores. There’s 2 stainless steel roasting forks too, so you won’t have to worry about burning your hands while you prepare your s’mores. It’s a really cute gift. Chocolate isn’t just for eating straight out of the packet. You can also cook and bake some great things out of it. 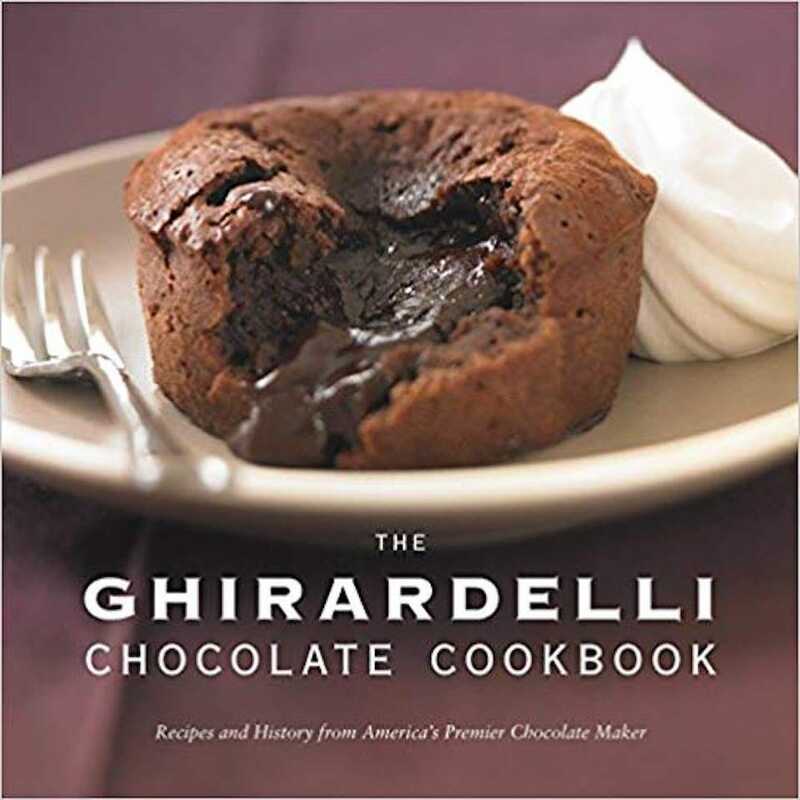 The Ghirardelli Chocolate Cookbook has some really classy recipes within, as well as some neat notes on the history of Ghirardelli—one of America’s longest continually operating chocolate manufacturers. In all, there are over 80 recipes, along with a primer on different chocolate varieties and uses, as well as plenty of full-color pictures. A holiday recipe section is particularly neat with suggestions for edible gifts like cocoa mixes and fudge sauce. When you give this to someone, maybe not so subtly suggest fudge sauce would be an awesome gift for you next year? Chocolate can cure many ills. Ok, so it can’t quite cure physical ailments but it’ll make you feel a bit better. 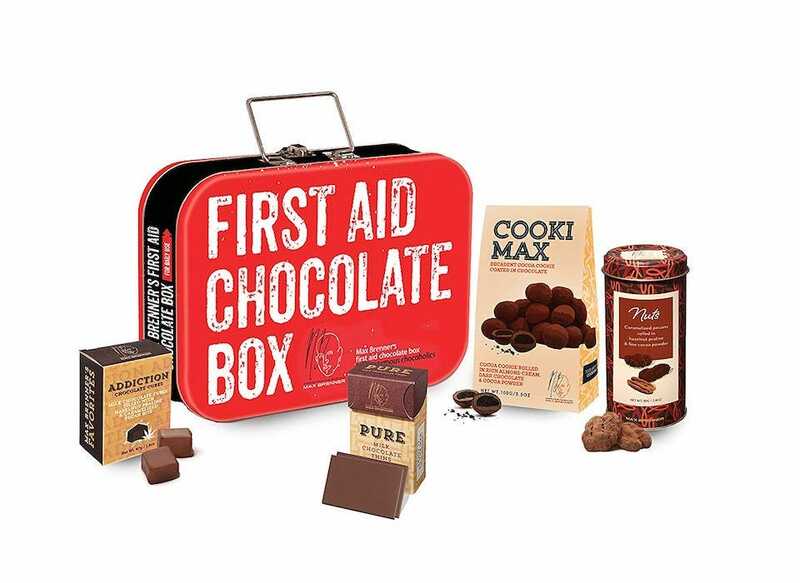 The Chocolate First Aid Kit is a fun way of showing your support for someone. It’s a chunky reusable tin that contains 30 pieces of Cooki Max Dark, 12 Pecan Nuts, 8 Addiction Cubes, and 6 Pure Milks chocolate and nuts, all courtesy of Max Brenner chocolate. It’s tasty stuff, and ultimately a lot of fun. You could purchase it now, then every now and then replenish it with your loved one’s favorites throughout the year. One of the nicest things about chocolate is that sense that your taste buds are being pampered. The Chocolate Truffle Spa Gift Set kind of does that for your skin. It contains chocolate scented shower gel, moisturizing lotion, body butter, flower soaps, and a pack of Belgian chocolate truffles. The aroma is a mixture of roasted cocoa beans, sugar, and vanilla, so it’ll make you smell as good as chocolate tastes. It’s a nice gift for someone who loves the scent. Many people love candles, as well as chocolate, so how about you combine the two? The Hot Chocolate Scented Candle smells wonderful and exactly like a hot cup of chocolate is sitting next to you. 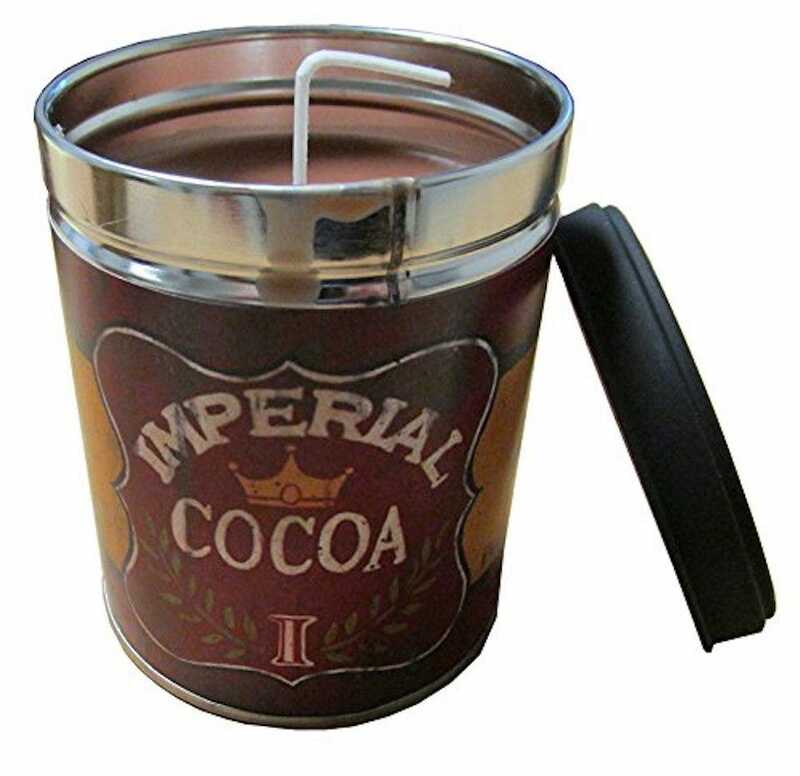 The 13 oz tin candle is made from a special blend of soy and paraffin wax with a vintage imperial cocoa label that ensures it looks stylish. It has a 100 hour burn time so it should last your loved one well into the new year. 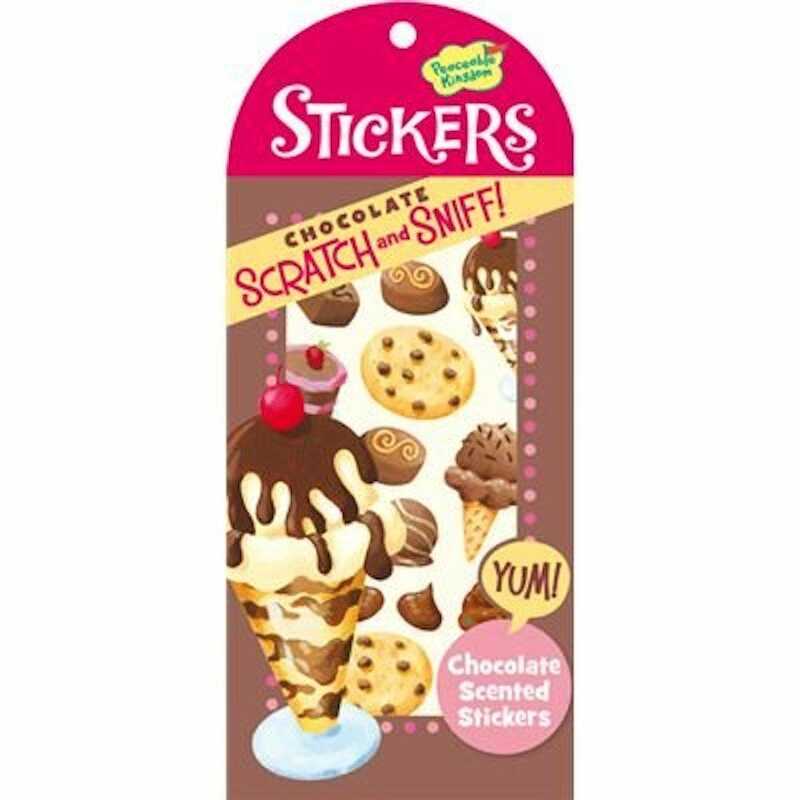 Very much a silly little stocking stuffer but how about buying these Peaceable Kingdom Scratch and Sniff Chocolate Scented Stickers? They look like a variety of tasty chocolate treats but even better — scratch them and they smell like your favorite chocolate too! It’s a great present for kids as they can stick the peel-offs on all kinds of stuff, but it’s also a fun quirky little gift for adult chocolate fans too. Christmas is the time of year for everyone to indulge their inner child. 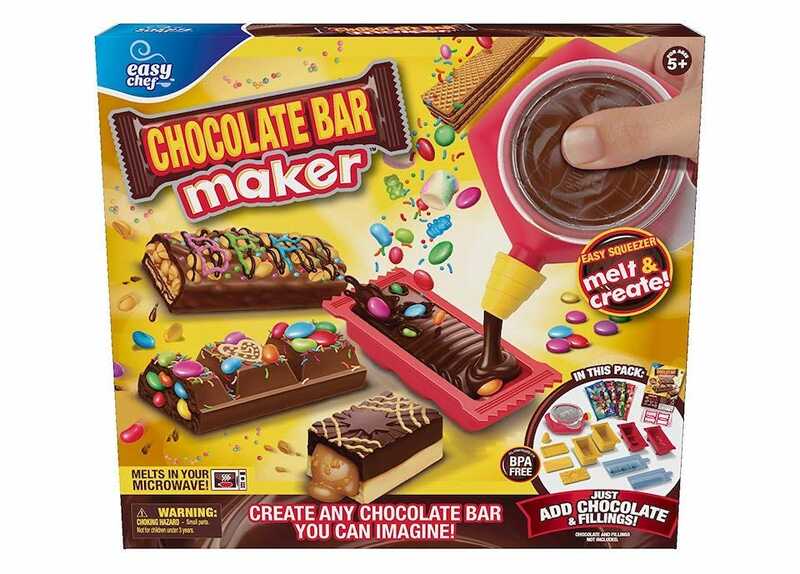 So, the Moose Toys Chocolate Bar Maker is a fun gift idea for this holiday season. Simply melt your chocolates, pour them into molds, then add some creative touches to make them look unique. It all melts in the microwave so it’s a simple enough process. Included are deco pens, stamps, and wrappers for decorating the outside of the bar. Sure, it’s pretty goofy, but it’s a fun distraction from being an adult, and kids will love it. The above article may contain affiliate links, which help support Review Geek. For more information please visit our Ethics page. Published on Sat, 08 Dec 2018 13:00:48 GMT, © All rights reserved by the publisher.